As avid pet lovers, it absolutely breaks our hearts to hear about homeless pets. 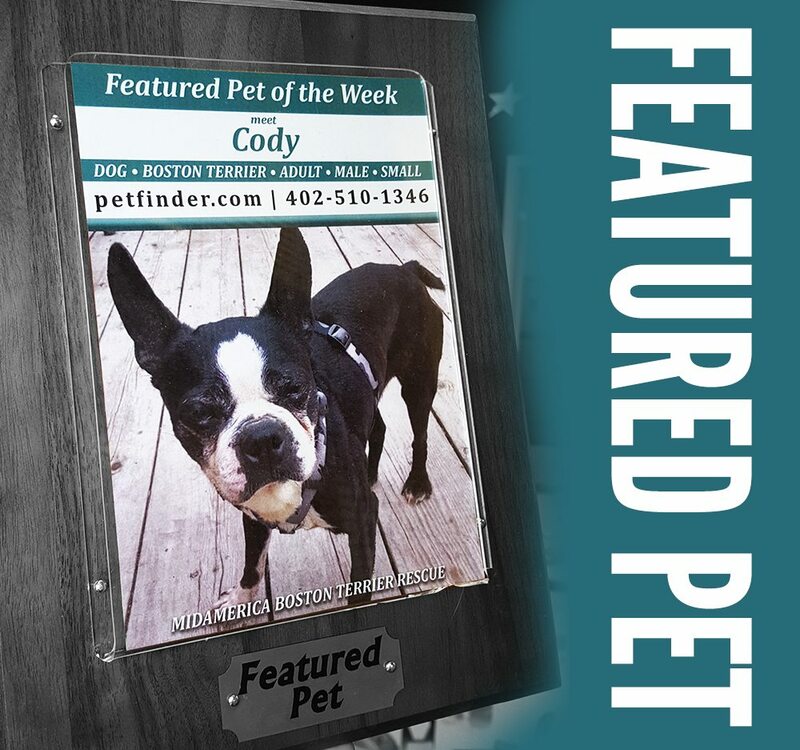 So in an attempt to help out our furry friends without a voice we have a “Featured Pet” Plaque that allows us to interchange a picture every few weeks for a new pet that is in search of a home. With the image of the pet we also post its name, age, gender, size, and information to find out more about them. We are especially big fans of two rescues; the Hobo Care Boxer Rescue ( Hobocare.com ) and the MidAmerica Boston Terrier Rescue ( www.adoptaboston.com ). These two organizations do a ton of work to find these dogs forever homes and make sure they live happy, fulfilled lives!